Alright y'all I did a poll on Instagram to see if y'all would be interested in my favorite etsy shops and I had an overwhelming "YASSSS" response! 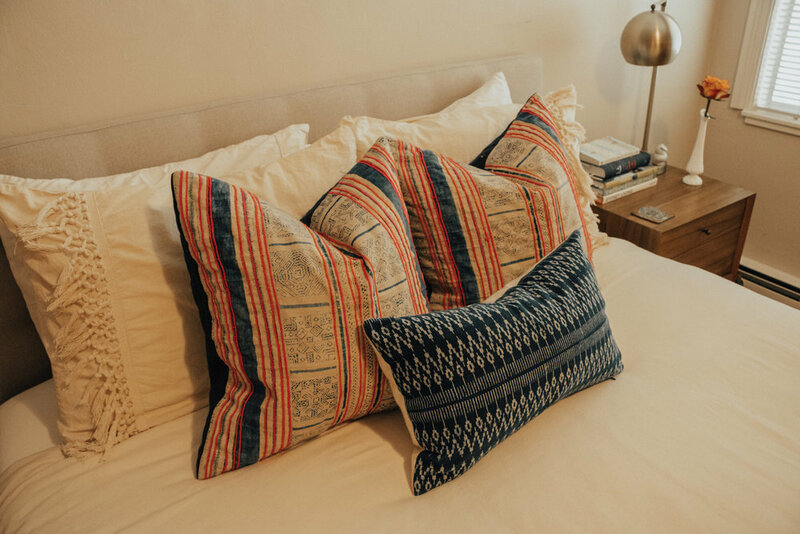 I'm definitely a lover of boho throw pillows and my three favorite types of pillows are: indigo, mud cloth, and hmong batik. I have all three types and they all mix well together as you can see in the photos of this blog post! These pillows look great anywhere -- on the couch, bed, side chairs, and even on benches. What I love most about these types of pillows is that they are so unique as most are all vintage textiles from Africa or Southeast Asia. They bring that "cali boho" and "worldly" look to your home. 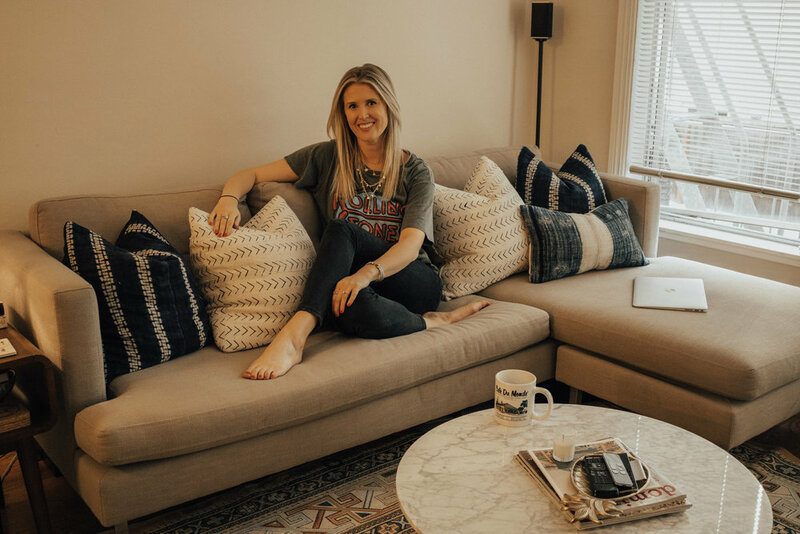 So without further ado here are my favorite etsy shops for these bohemian perfection pillows along with some of my favorite selects from each shop! 1. Oriental Tribe 11: This is probably my #1 favorite shop! He always has a great selection at good price points. This shop is my go-to for Hmong Batik pillows. 3. Luv Textiles: This shop rivals Oriental Tribe's with their selection of Hmong textiles! Lots of great color options. 5. MaeWoven: Another great shop focusing on Mudcloth pillows. Also pro tip: Always buy your insert 2 in bigger than the case. So for example, if you purchase a 20x20 pillow case, your insert should be 22in. This helps the pillow look full!